The current A6 can trace its lineage back to the Audi 100 of the early nineties, which, with a facelift, morphed into the first A6 model. Audi had been steadily building up its classy executive saloon ever since it launched the original Audi 100 way back in the eighties. Really, the current A6 can trace its lineage back to the 100 of the early nineties, which, with a facelift, morphed into the first A6 model. The recipe hasn’t changed much since then – it's big and slinky, with stolidly Germanic styling and an utterly gorgeous, spacious interior. Since the nineties, Audi’s careful honing and evolution has raised and raised the A6’s game to the point where it’s now the closest competitor imaginable for the mighty BMW 5 Series, and actually is better than the Beemer in certain respects. It’s a range with an enormous spread, the A6. It kicks off with a relatively humble 2.0-litre diesel (originally with either 140- or 177hp, latterly with 150- or 190hp), which is actually the sweet spot of the range – it has sufficient power and poke to keep you rolling, but with excellent economy (55mpg is a daily reality if you drive gently) and low emissions. Trading up significantly changes the A6’s character. Go for the 3.0-litre V6 TDI engine and you have a muscle car in disguise, especially the four-wheel drive quattro models. While the 2.0-litre is a sensible business person’s car, the 3.0-litre is a bit more serious and a bit more driver focused. The extra power and all-wheel drive makes the A6 feel sharper and more enthusiastic to drive too. That goes double if you trade up further to the 313hp bi-turbo V6 diesel. Now this is a serious rocket-ship, and a proper Q-car too – on the outside it looks as quietly classy and unassuming as any A6 but it has sufficient torque and power to turn a small planet. 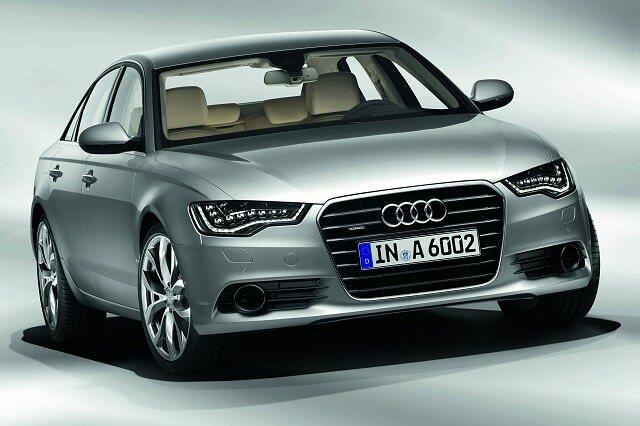 It’s the best A6 by a mile, but only if your budget can stretch. For those of a truly elastic budget, there’s the RS 6. It uses the twin-turbo 4.0-litre V8 engine more commonly seen with Bentley badges on the cam covers. With 550hp it is staggeringly fast and has reassuringly steady handling and grip, again thanks to quattro four-wheel drive. If you have to ask about the price, you can’t afford it. In amongst that mix of engines there are myriad options and packs. Sporty S line styling and suspension is ever-popular but beware the effect on the ride quality, which can get too firm around town. Standard SE models are still pretty well equipped as standard, but look far less enjoyably muscular than an S line. An automatic S tronic gearbox is available on all engines and is pretty much a must-have in a car of this type. You can also get a tall-riding, air-suspension A6 allroad quattro model that can tackle some surprisingly hard-going terrain. Best option of all is to go for the Avant estate body shell – it’s even nicer looking than the saloon, has a practical 500-litre boot and is every bit as good to drive as the saloon. A facelift in 2014 brought with it the ‘Ultra’ model, which has improved economy and lowered emissions. There’s pretty well made, as you’d expect, with a gorgeous, comfy interior and high quality materials everywhere. Beware the electronics though – if anything on an A6 is going to go wrong, it’s going to be something with a wire sticking out the back, and not all independent garages are sufficiently skilful as to be able to handle these complex cars. Never buy one without a full Audi dealer service history, so. If we had our choice and a bottomless bank account, we’d have a Bi-turbo diesel for the week and an RS 6 for weekends. That not being the case, a 2.0-litre TDI with the higher output and an S tronic automatic gearbox, and preferably in Avant estate form, will do nicely. The A6 manages to mix genuine premium badge desire with serious family-friendly practically, especially in Avant estate form. Depending on the depth of your pocket, you can have a frugal, sensible front-drive diesel or a howling-mad, Ferrari-bashing V8 turbo. Both are excellent choices.